McKenzie Wark delves into the Situationists’ unacknowledged diversity, revealing a world as rich in practice as it is in theory. 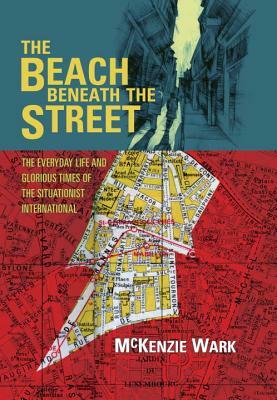 Tracing the group’s development from the bohemian Paris of the ‘50s to the explosive days of May ‘68, Wark’s take on the Situationists is biographically and historically rich, presenting the group as an ensemble creation, rather than the brainchild and dominion of its most famous member, Guy Debord. Roaming through Europe and the lives of those who made up the movement – including Constant, Asger Jorn, Michèle Bernstein, Alex Trocchi and Jacqueline De Jong – Wark uncovers an international movement riven with conflicting passions. The book’s jacket folds out into a poster, Totality for Beginners, a collaborative graphic essay employing text selected by McKenzie Wark with composition and drawings by Kevin C. Pyle.